This project is an attempt to model the potential rainfall interception performance of different urban tree species for the District of North Vancouver to support rainwater management plans in the area. 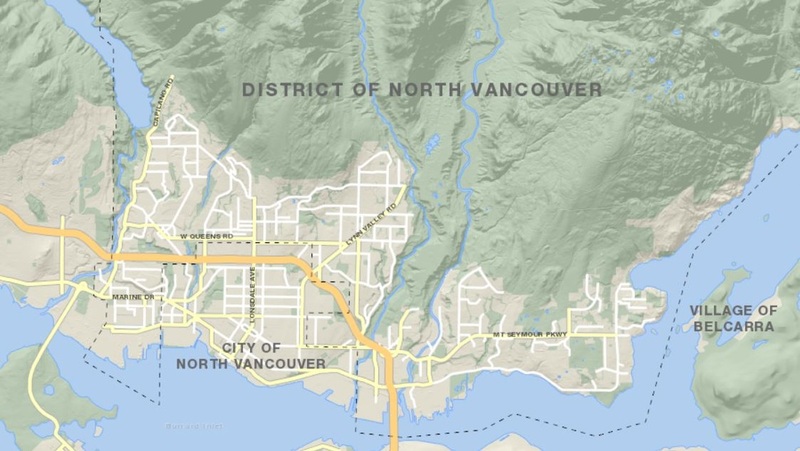 ​The District of North Vancouver is located within the Regional District of Metro Vancouver. The District is surrounded by the Coast Mountains to the North, Burrard Inlet to the south, Capilano River to the west, and Indian Arm to the east. Currently, the District of North Vancouver is managing and working to mitigate risks due to climate change. Stormwater management is amongst the key concerns. Using urban tree is one effective stormwater source control approach, yet not many new urban developments have actively utilized trees on or adjacent to a property in a rainwater management plan. Developing a rainfall interception model will benefit the new urban developments by providing critical information to help urban planners and stormwater managers. This model builds upon two key works: 1) a previous rainfall interception model that was applied in a forest community (Gash, 1979; Link et al., 2004), and 2) field research that investigated the interception loss of a variety of tree species in the District of North Vancouver (Asadian and Weiler, 2009). ​The outcome of the model is intended to support the implementation of rainwater management plans in local municipalities. The results generated from this model may be used to inform and enhance decision support tools, such as the Water Balance Model Express, which is an interactive tool to help determine the water balances of local property developments and provide useful information for different stakeholders in planning future development. Such a tool is critical to the development of stormwater management plans and permit applications for many urban development projects. By generating the interception loss for different species, this model offers various options in selecting tree species with supported data, which could be utilized as additional components to enhance the Water Balance Model Express. This study provides an analytical model on rainwater interception performance of a selection of common urban trees in Metro Vancouver, given a series of climatic and tree characteristics. The model outputs and interface are designed to inform and enhance decision support tools (e.g.the Water Balance Model Express) that are used in the development of stormwater management plans and permit applications associated with urban development projects. The potential audiences who will benefit from the outcomes of this study are people involved in urban planning and management of stormwater such as city/municipal planners, engineers, developers, and local decision makers. This rainfall interception model provides useful information to address several aspects of urban stormwater management for different stakeholders. Such information could be utilized by city planners, engineers and decision makers in the assessment of urban trees’ benefits and the development of stormwater management plans. The results of the model also assist tree species selection regarding their interception capacity, which would offer options for developers and landscape architects in selecting specific tree species to fit various goals. This project was completed with the supports of many people who provided essential guidance, resources, and valuable comments and points for discussion. I would like to express my appreciation to following individuals in devoting their time and resources to make this project a success! 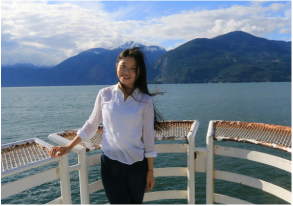 ​This project was completed by Jie Ying (Jenny) Huang as the major project for the Master of Land and Water System (MLWS) program at the University of British Columbia (UBC). Jenny received her B.Sc. in Nature Resource Conservation in 2015 at UBC. Following the completion of her MLWS degree, Jenny intends to pursue her Professional Agrologist designation with the area of practice in water resource planning and management.